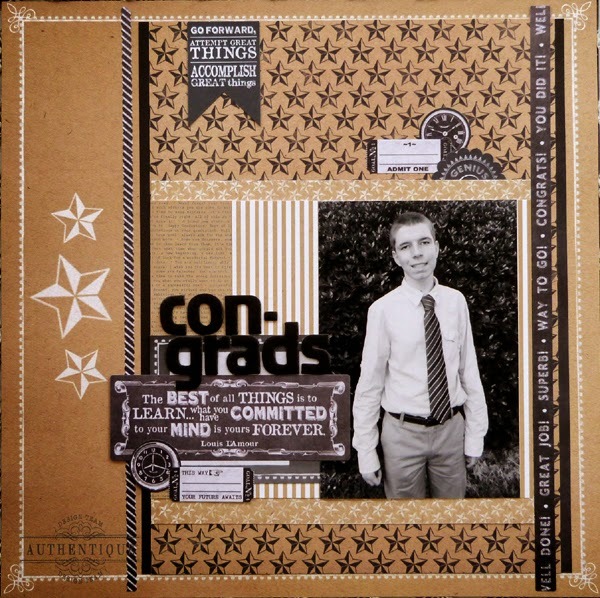 Hi everyone, it's Audrey, and today I have a fun graduation layout to share with you that I created with Authentique's adorable new Accomplished collection. This sweet photo is of my dear friend, Michelle's, son on the day of his 8th grade graduation last year. I'm so tickled that she let me scrap this special picture of his big day. Such a perfect match up for the fabulous kraft prints and congratulatory embellishments of the Accomplished line! 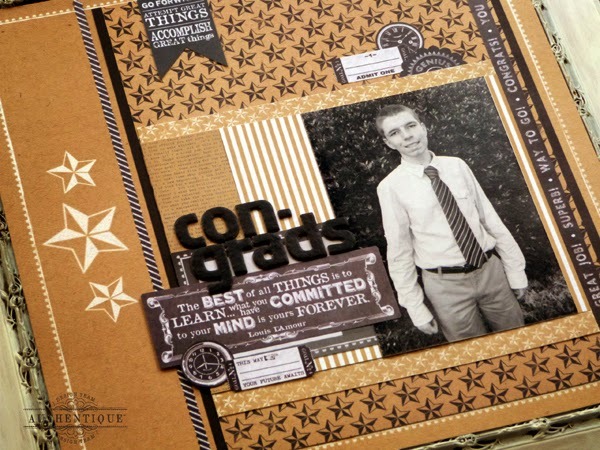 I am a huge fan of kraft print papers, so the Accomplished collection is right up my alley. I love the fact that each double-sided 12x12 paper has black "chalk" images on kraft on one side, and white "chalk" images on kraft on the other. 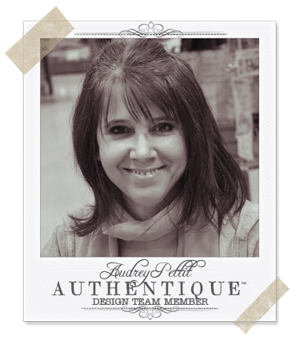 Not only that, one side has a reduced scale print, giving you a variety of sizes, and tons of design possibilities. For my layout, I used both sides of the fabulous "Outstanding" star print paper, layered against the distressed solid of the "Foundation" paper and the bold print of the "Memorial" 12x12 paper. I really like that this mixture gives me three sizes of stars to work with for a nice balanced small, medium, and large scaled design. I also added in a couple of contrasting prints from the 6x6 Bundle to frame the photo, using both the black and white sides of the papers for more interest. Used one of the 3x4 cards from the "Enhancements" Cut Apart paper as an anchor frame for the title lettering and the fun journaling sticker. Edged the sides of the layout with fun border stickers from the Details sticker sheet. Then a few additional clusters of stickers and a Components die cut banner flag finish things off. 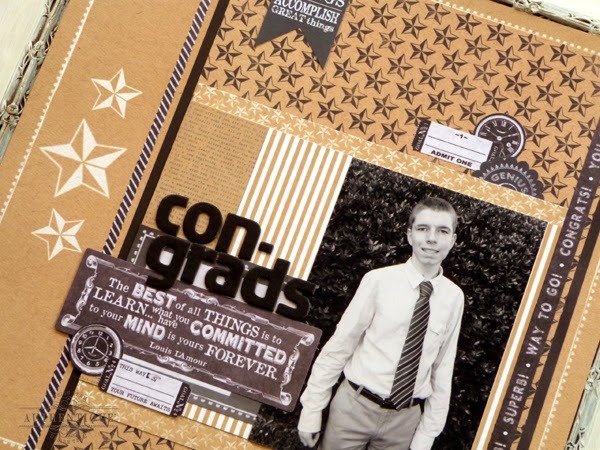 Your layout is wonderful and congratulations on your friend's son's graduation! Loven' how you made it!